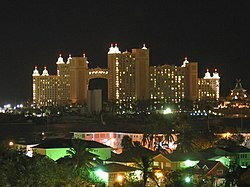 Nassau is the largest city and the capital of the Bahamas. Nassau is on New Providence Island. In 2008 about 260,000 people lived in Nassau. Nassau used to be named Charles Town. This page was last changed on 18 August 2018, at 00:23.